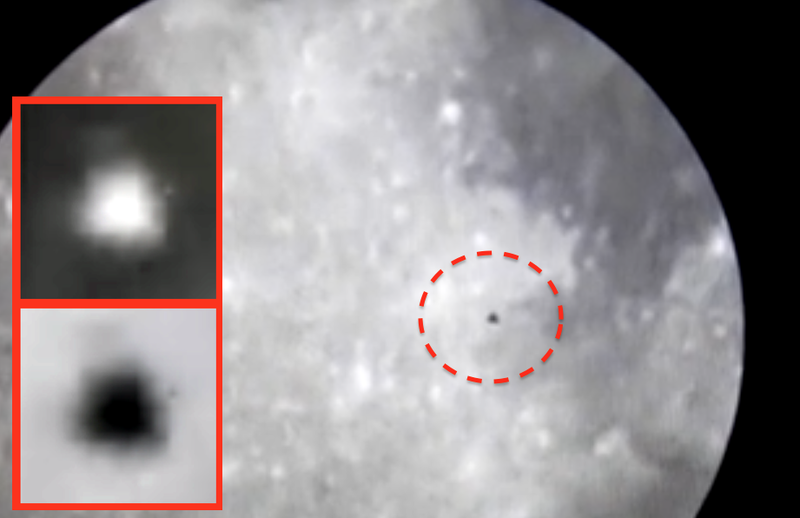 UFO SIGHTINGS DAILY: UFO Above The Moon In Close Telescope, July 16, 2016, Video, UFO Sighting News. UFO Above The Moon In Close Telescope, July 16, 2016, Video, UFO Sighting News. This is an awesome catch of a UFO moving across the moon. This UFO is made up of several tangles and you can see from the close up. The UFO moves slowly, but seems to be in Earths orbit, not actually on the moon. It could be a giant satellite, but its seems way too big to be a satellite, they should be 25% this size, so its probably alien. Great video by UFOvni2012 of Youtube.